A florist has opened on Queens Road that offers something a little different to a traditional flower shop. 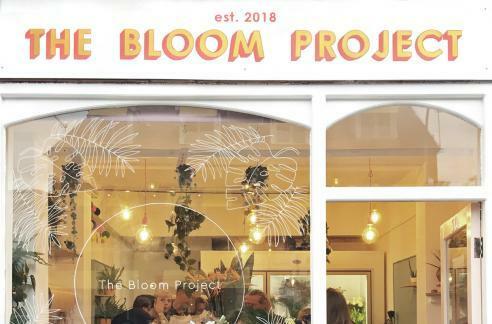 The Bloom Project is an “artisan florist, plant and lifestyle store, delivering super cool blooms to Leicester.” Welcome to Clarendon Park folks, you’re going to fit in just fine. 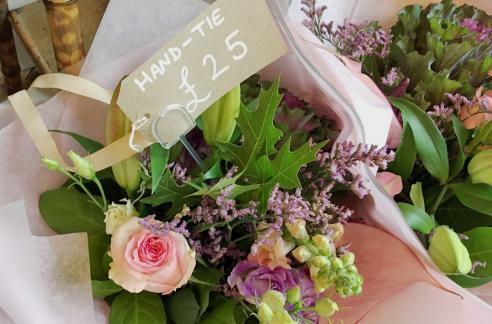 “I chose Queens Road because I’m a city girl and wanted a city location, but also with a community and the footfall a florist needs,” says Emma Parry, the florist behind The Bloom Project. The Bloom Project can be found at 57a Queens Road, in the building recently vacated by Tranquility beauty salon. Much of the little shop is taken up by a large cooler, which is full of stunning cut flower arrangements. Aside from being beautiful, there does seem to be something genuinely fresh and modern about the designs. This is partly because of the unusual and dramatic blooms that are included. For example, one of Emma’s signature arrangements features proteas – an African flower with a distinctive, geometric appearance. As well as cut flowers for special occasions, The Bloom Project also sells a range of houseplants, with succulents particularly well represented. There are non-bio gifts too, including a range of pretty ceramic vases and plant pots. All in all, The Bloom Project is a fitting addition to CP, and the new business has already received plenty of local support. Well I for one am very happy you and your mom decided to open this lovely little shop, which has enhanced the area. You have put a lot of thought into what you wanted to offer and it works for the young and the older residents. I am sure we will see many more interesting things in the future and I am happy to go along the journey with you. Fab shop I brought some roses two ago and there still in full bloom !